Estonians now have over 15 years of experience living in an information society. Rapid technological advances have posed a challenge to both the state and the private sector. How can we ensure the involvement and integration of all social groups in a digital society? What knowledge and skills are required in private and business life to cope in an information society? In Estonia, we can be proud of the fact that about 90% of 15–74 year-olds are using computers and the internet – most of them on a daily basis. The mandatory ID card held by the majority of this age bracket and regularly used by nearly half of them makes communication with the state and many private businesses convenient, quick and secure. More than 100,000 ID card holders also use Mobile ID with its increasing flexibility. The Estonian state wants children and parents to develop a positive attitude to technology at an early stage. Children are taught to be inventive and creative when it comes to technology and to spot cause and effect relationships, and they are given clear instructions and some initial programming tips; for example, when using robots. Interest in technology among pre-school children is kindled and maintained primarily through ICT hobby activities. According to a 2016 survey, ICT hobby activities were conducted in 13% of kindergartens. Many more kindergartens showed the willingness to provide basic teaching in technology. With a support measure initiated by the Ministry of Education and Research the same year, the share of kindergartens providing ICT hobby activities increased to about 30% by 2017. This reflects the importance the Estonian state attributes to offering technology education. According to the Estonian national curriculum, digital competence is one of the mandatory general competencies that schools are required to develop in the pupils. When a change to that effect was implemented in 2014, relevant support measures were immediately provided to develop the skills: instructions for teachers to understand the nature of digital competence and their role in its development, refresher training for teachers and school administrations, and development measures complementing the introduction of digital learning materials as well as monitoring activities to measure the digital skills of pupils in the last years of basic school and upper secondary school. Programming is not a mandatory subject in the Estonian national curriculum, but formal and informal education offer the possibility to acquire diverse IT knowledge, including in-depth IT training and career counseling to make plans for specializing in the field in the future. The effect of ICT hobby education on acquiring higher IT education is remarkable – about 36% of the students who have entered IT studies have considered earlier experience from hobby activities as the most decisive factor in their choice. This suggests that the 319 general education schools in Estonia (68% of all schools) that provide IT hobby activities are ensuring sufficient numbers of student candidates for technology programmes in the future. General education is like laying the foundation for future skills and careers. The fact that the majority of professions will be influenced by technology to a greater or lesser extent in the future must not be overlooked. This means that youth and the specialists working in the education system should be offered the best possible overview of future work, skills, and the opportunities to develop those skills. The IT sector and IT specialists play a major role in ensuring economic development in Estonia. The state and private sector have launched a number of initiatives toward providing enough IT specialists for all branches of the economy. The focus is increasingly on girls and women, whose share among IT specialists, as in other countries, is low. The real nature of IT work is presented through workshops and by breaking the myth that IT only equals programming. Awareness among teachers and career specialists about IT work is being raised through training and company visits. The challenges for Estonian vocational and higher education are mainly related to the digitalization of various branches of the economy in the context of a shrinking working-age population. A major renewal of professional standards lies ahead. An agreement has to be reached on a faster and more flexible model for updating curricula. Employees of manufacturing industry, who constitute about one-quarter of Estonia’s workforce, have to be offered various levels of conversion and refresher training programmes to ensure the development of their professional skills to support these industries with the availability of competent workforce. Another important challenge arises from the premise and need to develop specialist IT skills in every field, either profession-specific IT skills or the development of “smart client” competences in each field. The number of pupils acquiring an ICT education and also the share among vocational students have doubled over the past ten years. Although the share of students admitted to vocational ICT studies has increased over time, the share of ICT graduates has not increased to the same extent. This is due to higher than average dropout rates among ICT students. Preventing dropout is among the most important challenges in the ICT field. Even though the overall number higher education students has decreased, the same trend is evident in higher education – the number and relative share of ICT students have grown. For example, the total number of admissions to all higher education curricula decreased by 28% in the 2016/17 academic year compared to the 2007/08 academic year. At the same time, the number of admissions to ICT programmes has increased and the relative share of ICT to all admissions has increased from 6% to 10% over the past ten years. The state considers it important to offer diverse study opportunities, both in terms of content and the form of study, so as to make IT studies available to all those interested, including adults. It is worth mentioning that the age of students admitted to higher IT education has gone up. Although the share of women in the ICT sector has grown from 22% to 28% over the past decade, ICT still has the lowest share of women of all fields and requires further attention. The share of foreign students in ICT and other fields of study has increased remarkably over the past five years. In the 2016/17 academic year, foreign students accounted for 9.1% of all ICT students, which is slightly above the average for all fields (8.2%), while six years ago the indicator was only 1.8% (average 1.9%). The IT Academy programme initiated by the state, universities and entrepreneurs in 2012 has become a highly efficient and important driver in promoting higher IT education by ensuring that the content and quality of curricula is updated rapidly and is compatible with employers’ needs and delivers a high standard of teaching. The IT Academy is, therefore, a noteworthy example of a good cooperation platform for employers, schools and the state. In addition to increasing the funding of IT curricula, the Estonian state has selected strategically important curricula for additional financing and subsidising toward the training of specialists. IT law at the University of Tartu is one such curriculum. Estonia has provided law education for centuries and law continues to be popular today. The labour market, however, has gone through considerable changes – the need for specialists with traditional law education is shifting toward lawyers competent in the field of technology and related legal contexts. The Estonian state has provided additional five-year financing for the education of 100 specialists in IT law, who are seen, in addition to the above, as offering considerable support for the introduction and implementation of Estonian e-Governance services and solutions in other countries – they are the exporters of e-Governance. The good news is that universities have started to develop various additional curricula for people already working, including managers, to develop their awareness and improve their skills in using technology for more efficient business management. ICT studies can serve two main objectives in adult education – to maintain one’s job, as an increasing number of jobs require ICT skills, or acquire a new qualification to start a career in ICT. Furthermore, the possession and acquisition of digital competence skills as part of general competence is important because an increasing number of services (e.g. social welfare and health care services, which are mainly used by seniors) are ICT based, and the lack of computer and internet skills reduces the availability of the services as well as the social involvement of this group of people. Estonia is on the 9th place in Europe with its Digital Economy and Society Index. Although Estonia has good results in terms of internet users, basic digital skills and the share of ICT specialists, internet skills and basic digital skills among our adult population have deteriorated compared to 2016. 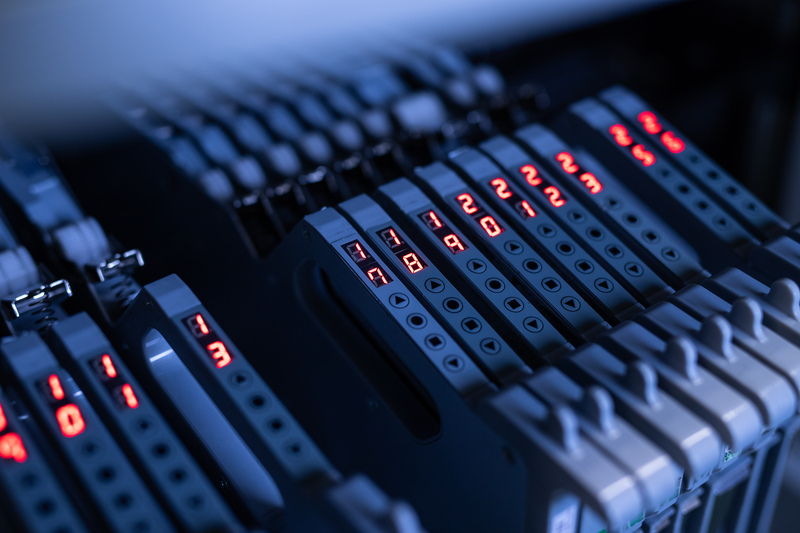 While the overall statistics on managing in an information society are positive, advanced tasks involving technology pose a challenge to many people in Estonia. This may become a stumbling block especially in developing work-related IT skills – when a person lacks basic digital literacy, they have no courage to work with more complex equipment. Many parties in Estonia – ministries, libraries, communities, and so on, are contributing to basic skills training in the framework of lifelong learning. The state wants to boost the role of communities and has launched the e-Community project to shape libraries into larger or smaller information society support points, empowering the librarians with the skills necessary for helping people to use e-services and advise on other technological issues. There are also different supportive measures designed for employees as well as employers to support them in developing their ICT skills that are needed to confront digitalization of industry. Like other countries, Estonia has a low rate of participation of people with lower levels of education in lifelong learning. To motivate valuable workforce to participate in training, the Government and manufacturing industry has, for example, launched a digital skills training project called DigiABC for unskilled workers, targeting the workers through their workplaces. An interesting trend in Estonia is the average age of people who begin acquiring a new education – it is about 35 years for both men and women. Increasing numbers of professionals are applying to vocational schools and institutions of applied higher education in order to change their careers. This is a highly positive phenomenon, as the need for specialists is declining in some areas and increasing in others. 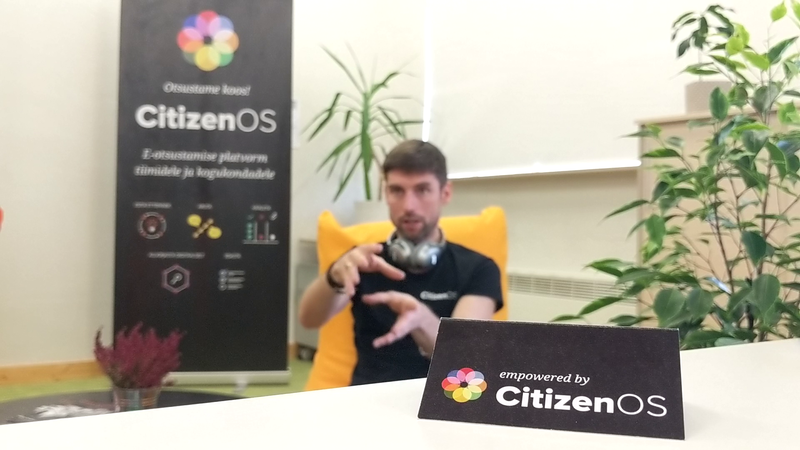 To support this trend, the state with Estonian IT companies launched the pilot project Choose IT!, which enables 500 postgraduates to learn a new profession and become software developers. There has been immense interest in joining the project. Another trend successfully accepted by the public in Estonia is MOOC – massive open online courses. The first in this field were the online programming courses for various levels organised by the University of Tartu Institute of Computer Science, in which thousands of people have now participated. The share of participants who continue in academic higher education is a good indicator of the effect of MOOC. We live in a rapidly changing environment, but we have to keep in mind that changes in the formal education system, such as changing the curricula, training teachers, and so on, inevitably takes time. This lag between needs and formal education can be overcome with the help of non-formal education. Everything new allowed by technology can be tested on various target groups and smaller groups in non-formal education. Tested and run-in success stories can then be transferred to formal education. 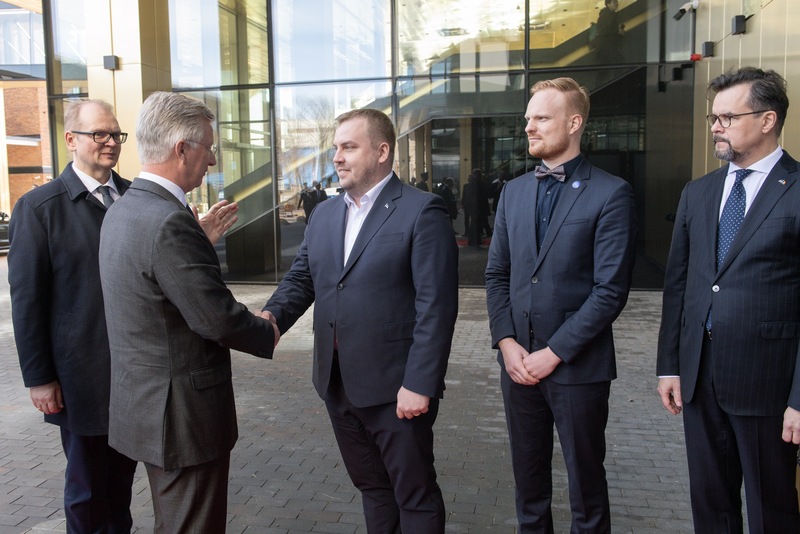 Cooperation and synergy between ministries and other parties, such as employers, schools and third sector organisations, has been a highly important and critical success factor in Estonia. A number of ministries have provided synergy support systems to teach digital skills to the citizens. 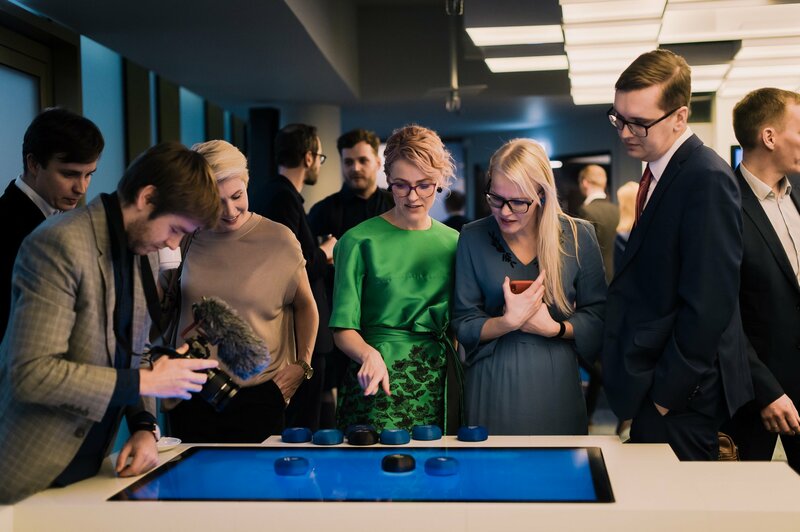 For example, the Estonian Ministry of Education and Research is responsible for the digital skills taught within formal and informal education and for IT education as a whole. In cooperation with representatives of employers and schools, the ministry ensures the availability of courses required for the refresher and conversion training of working people. The Ministry of Social Affairs manages unemployment prevention measures for both the unemployed and companies. The Ministry of Economic Affairs and Communications is responsible for IT and Estonia’s economic development as a whole. Measures have been planned for a quicker development of higher IT education and research and to support the development of elementary digital skills in citizens that are needed for the development of e-Governance (such as the use of e-services, security, etc. ).